A fascinating account of the world’s most famous disease - polio - told as you have never heard it before. Epidemics of paralysis began to rage in the early 1900s, seemingly out of nowhere. Doctors, parents, and health officials were at a loss to explain why this formerly unheard-of disease began paralyzing so many children - usually starting in their legs, sometimes moving up through their abdomen and arms. For an unfortunate few, it could paralyze the muscles that allowed them to breathe. 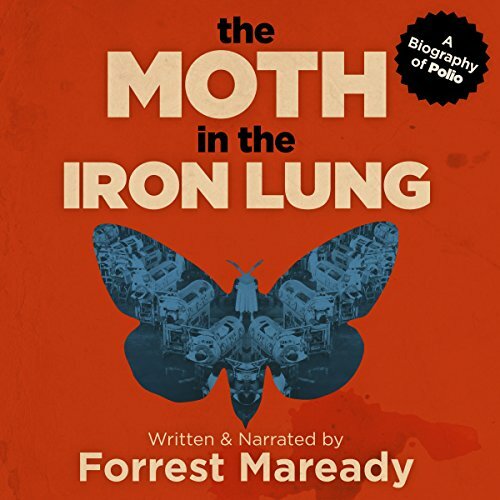 Forrest Maready's fascinating recount of the Polio Epidemic through the lense of man made disease caused by heavy metals and pesticides is a must read. It uncovers how the early use of lead arsenic pesticides proceeded by the use of Paris Green had an uncanny nack to track Polio outbreaks throughout the US. Boston was ground zero as there was a plague of gypse moths which were introduced into the region following the Civil War. Clear, to inform the reader of early cases of infantile Paralysis caused by mercurial based medicines and teething powders used up until the 1950s. We are informed of how Poliomyelitis of the anterior horn, infantile Paralysis, would cause paralaysis typically of the lower extremities without loss of the sense of touch. The disease, polio, which would later be discovered in the quest to find a single cause for infantile Paralysis using Koch's postulates, was quite common and bening before the 1890 outbreak in Boston. Most likely, with the stomach lining weakened due to pesticide poisoning the Polio virus found a direct path to the front of the lower spine and created lesions of the Grey matter. These lesions resulted in to infantile Paralysis. And so the tale continues in which numerous causes were discovered along the way by leading researchers including a strep like bacteria; however, such discoveries and understanding of man made disease would get lost along the way. Eventually, the peak of the Epidemic occurs after citizens are bombarded with DDT following world war 2 in the 50s. The American public keenly aware of the toxic effects began halting the use of DDT in the mid to late 1850s around the same time Silent Spring was published in 1962. During this time, the Cutter incident, occurred in 1955, in which his inactivated polio virus vaccine was not fully inactivated. This resulted in more than 40,000 cases of polio, 200 cases of infantile Paralysis and 10 deaths. With a new definition for polio, and two new vaccines the "rates" of polio dropped along with the decreased use of DDT and heavy medicinal metals. Was it the vaccine? Was it the reduction of heavy metal medicines? Was it the elimination of DDT in the US which led to the decrease of infantile Paralysis? Much more is discussed in this well researched book. Including the history of the iron lung and counterexamples to the argument that better sanitation resulted in first world citizens being susceptible to infantile Paralysis. Incredibly fascinating and illuminating. So many details I had never heard of. Can't wait to listen again. The game changing 1954 Salk Vaccine trial not mentioned. Work of Rotary International and partners not mentioned. Sorry, but I’m deeply involved in polio eradication and Maready is missing more facts than he has. And many postulates he puts forth as facts don’t make sense. Example: if polio caused/facilitated by metal poisoning why is it a summer disease? Why has it historically spiked after the haj? Why is it presently in Pakistan & Afghanistan and nowhere else? What an awesome historical retelling of the origins of “poliomyelitis” and the failed medical attempts to prevent and cure it. It felt like it had to be a creepy fictional thriller story, but knowing the amount of research that went into his retelling, it is chilling how accurate everything is. I had chills by the very end. A must-read for anyone who has already begun the descent down the rabbit hole, and an open-minded reading might just get you down the rabbit hole, too. The story starts with accounts of history that would seem to be irrelevant, however as the book progresses, the connections becomes clear and insightful. Overall this is an interesting listen and would recommend it. I have learned something I did not already know. Enthralling! An absolute must read! Best book I’ve read. Seriously. The book shows the full story of the famous polio and how its picture presented in the official version is incomplete and very misleading. People have a tendency to jump into conclusions far too quickly and so do the scientist in particular. It very often comes at a way too much cost to the oblivious population who trust the greatest minds. The greatest minds do not like admit they were mistaken.